Internally Displaced Persons from over 10 villages recently attacked by herdsmen in Central Nigeria's Plateau State are set to receive over N10m worth of humanitarian aid from a local Church. 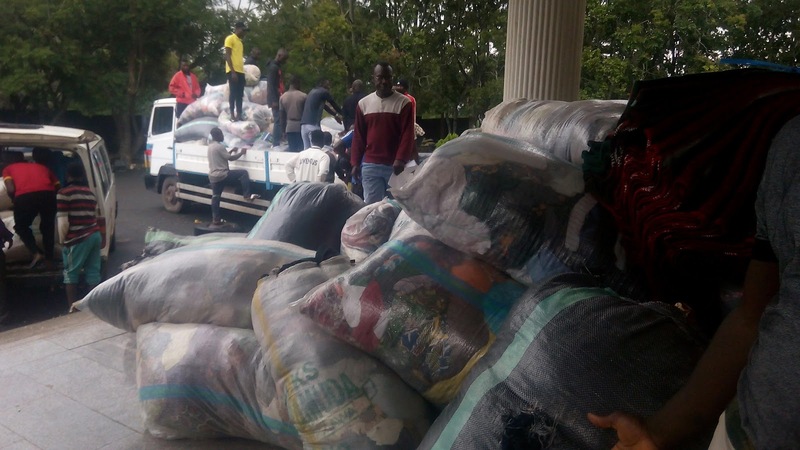 MKB witnessed the loading of items ranging grains, cooking oil, clothing, beddings, toiletries and cutleries among others at the headquarters of the Church of Christ in Nations (COCIN) Regional Church Council, Du, South of Jos the Plateau State capital. The items billed for distribution to various IDP camps across the state were collected through individual contributions from different congregations across the Jos COCIN Provincial Church Council (PCC Jos), it was learnt. Leading the distribution according to a roster designed for that purpose will be the COCIN PCC Chairman, Rev. Bulus Tsok, Rev. Joshua Madyel and Elder Markus Bot. This team leads the distribution to IDPs in COCIN Ban Heipang, COCIN Kassa and RCC Ropp. The PCC Secretary, Rev. Dawuda Jakawa along with Rev. Ajik Ishaku, Rev. Joshua Davou and Elder Yohanna Agwom lead distributions to School of Geosciences Anguldi, Jos, Riyom Community Hall and COCIN Rahwos Primary School, Riyom LGA where other sets of IDPs are camped. IDPs in Gura-Koros and Dorowa Tsoho in Barkin Ladi LGA will be seen by Rev. John Yilkpuba and Rev. Pam Chollom while Rev. Yakubu Idi and Rev. Davou Rapp lead distributions to COCIN Rawuru, Fan, Barkin Ladi LGA where another set of IDPs is. The teams are expected to report back to the PCCs on their observations of the conditions of the camps. The items to be distributed are exclusive of a general contribution being mobilized for the IDPs by the overall leadership of COCIN.